Human beings need holidays to make ourselves feel special. There are all different holidays for all types of religions, and everyone is just as special as the other. But what can truly make or break a holiday is the additional of adorable animals. 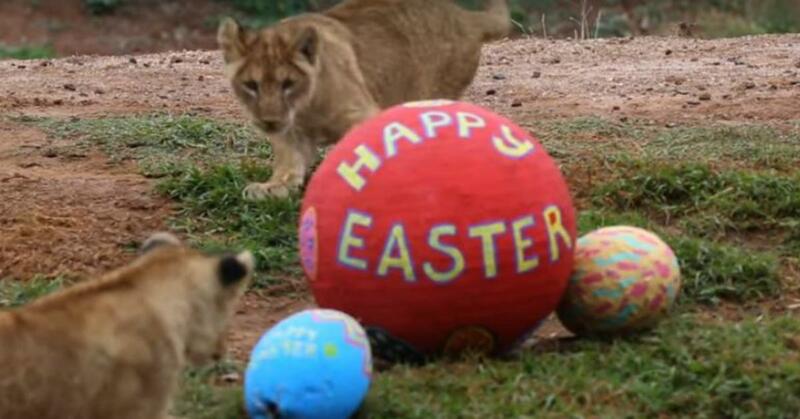 In this case one Easter they dressed lions up to make sure they enjoyed the holiday better. Now the way I phrased that sounds like a bad thing, almost like I'm taking a jab at my species. This isn't the case, however. I understand and fully get the need for having holidays. Going out of our way to feel special and celebrate life is a good thing, especially if we're struggling so hard every day to live out our dreams and hopefully fulfill them one day. But it seems like all the good holidays are restricted to humanity and animals don't really get to join in on the fun. Sure, you'll dress your pug up for Halloween or get them a cute little Christmas sweater. But what about a celebration that doesn't involve them dressing up and looking ridiculous for our enjoyment? Maybe something like giving zoo animals their own Easter-themed pinatas to tear apart for a little bit of holiday fun? These enormous, tearable eggs were enjoyed by a bunch of animals at the Werribee Open Range Zoo in Melbourne, Australia. They got into the Easter spirit by playing with huge eggs and ripping apart little Easter baskets. Monkeys and meerkats got in on the action too. 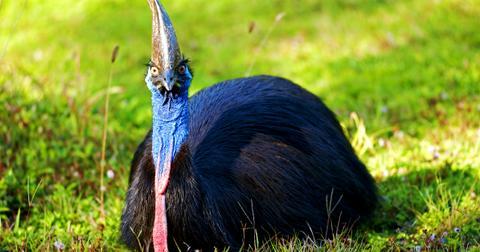 It's not the first time the Werribee Zoo celebrated the holidays. Here are some of the zoo's animals enjoying pumpkins on Halloween. Remind me to check out this zoo the next time I want to celebrate any holiday. I'd love to share some pumpkin pie with a giraffe one of these days.